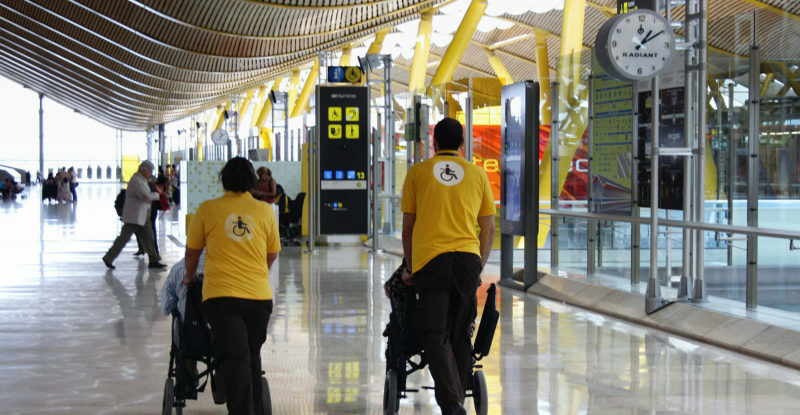 Airline passengers with mobility restrictions and special needs require assistance when traveling. Airlines, airports and transportation providers are removing barriers, if not perhaps at the highest of speeds. But the way that airlines manage the needs of these passengers requires more serious study and investment. Here’s a case study from the UK. I wanted to book my retiree parents for a couple of weeks of a short-haul winter sun holiday to the Canary Islands. Like much of the growing senior traveler market, their schedules are flexible, they enjoy travel, and they particularly value escaping the UK’s miserable January weather. Both are active seniors, but the UK’s lamentable public transport infrastructure, lack of intermodal design, and lack of barrier-free accessibility means that they prefer to either drive themselves to the airport or have a friend bring them. Yet they are also cost-conscious and don’t like driving the two and a half hours from their home to Heathrow – an airport that has not endeared itself to them in operational or passenger experience terms – preferring instead the smaller airport at Birmingham, 90 minutes away. The tradeoff: no nonstop flights to non-hub airports on full service carriers. 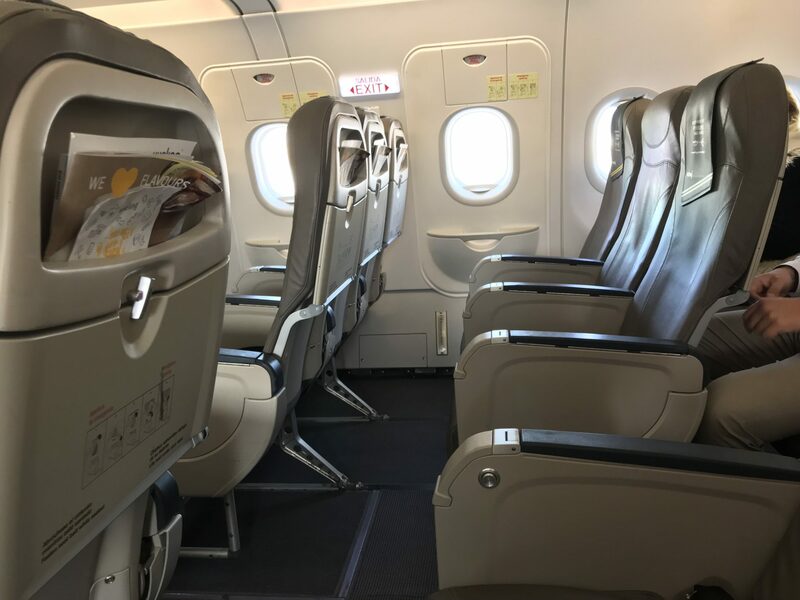 Having flown extensively during their careers, they value extra space and perks when traveling, but the extra space options on most LCCs’ narrowbodies are limited to exit row and bulkhead seats. With the possibility of one or both parents being judged not to be sufficiently powerful to assist in an emergency, I instead looked to purchase them a third seat in a row of three so they could stretch out sideways. 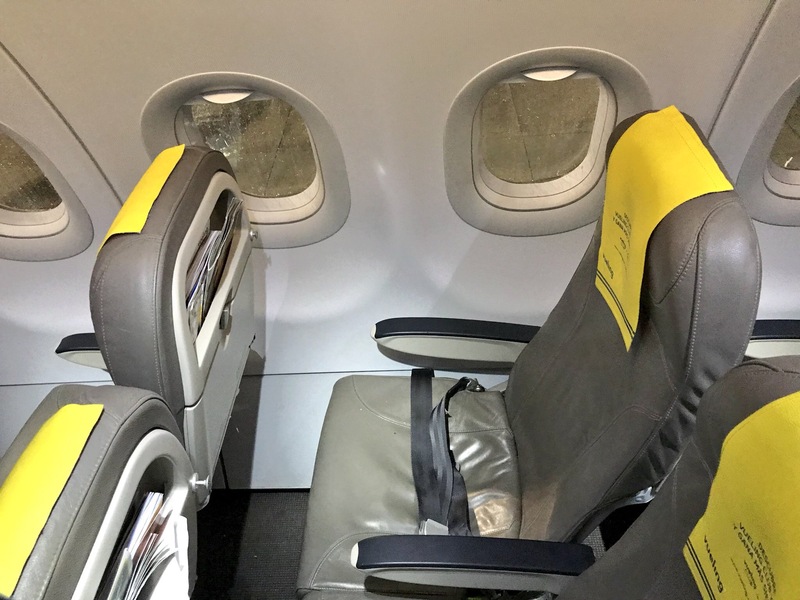 This “do it yourself Eurobusiness” sort of passenger experience is one of my personal favorite hacks to get extra space, especially on tightly pitched flights like these LCCs’, and particularly on four-hour-plus legs from the Canaries to northern Europe. It’s also a staple of an increasing number of travelers: larger people, those who find it uncomfortable to sit in a tightly packed seat for long periods of time, or people who may have injured themselves, for example. 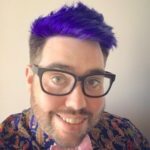 A friend of mine who has a condition leading to joint hypermobility, and who has been injured by a fellow passenger bumping into their arm and dislocating their shoulder joint, also frequently looks to book a spare seat to secure their health and safety. The point is that people have a wide range of reasons to book an extra seat, and that airlines should welcome this not just because it is the right (and often legally required) thing to do for accessibility reasons, but because it’s a good deal for the airline: paying full price for a seat but not having to carry any passenger weight is a bit of a steal. Yet actually booking those seats is very much a mixed bag, and certainly was among the three airlines I dealt with for this trip. Airline one: leisure carrier-LCC TUI, for the 4h20 flight between Birmingham and Las Palmas. TUI offers no online way to purchase an extra seat, requiring a phone call to its “welfare team”. After two frustrating goes through its phone tree, its team was not answering the phones on 26 December, a UK holiday, although its recorded message didn’t mention holiday hours. I feel I was clear about not yet having a booking, and would have been relatively fine with a “yes, sorry, they’re not here on the holidays, please call them tomorrow”. But I’ve encountered the British corporate delight in this kind of faux-data-protection-driven “computer says no” response before, and it gets my goat. What it didn’t get was my booking: I turned to airline number two, appropriately enough fellow UK leisure-LCC Jet2, which competes on the route. It doesn’t provide an online way to book a second seat either, but I rang them and a friendly, helpful agent answered and gave me the answer: book a third seat online with the same surname as one of the passengers and the first name of “Extra Seat”. The agent was happy to stay on the phone with me while I clicked through the process, and was able to confirm that seats would be allocated gratis. As it turned out, an extra middle seat was basically the same price as two regular seat assignments would have been, reaffirming my belief in the DIY Eurobusiness approach to better #PaxEx in our LCC era. On to airline number three: Vueling, for their return (via France for a few days visiting). This was the easiest option yet: the IAG LCC has a single click during the booking process to add an extra seat, and automatically assigns those seats next to the passenger, with the ability to upgrade to extra-legroom or front row seats if desired – but at full price for every seat. On balance, I have to say that the Vueling option was ideal, but it surprised me in how simple and easy the process was. As more older passengers fly, as more people with disabilities and space requirements travel, and as the standard knee and elbow space available to passengers shrinks, airlines need to do better in allowing passengers to best select the seating that meets their needs. Whither longhaul LCC Premium E in the age of DIY Eurobusiness? Thank you for this. There is not a lot of info online about how to book an extra seat. Any sense of how it works with Ryanair, Easyjet, Wizz or Norwegian? Thanks for this. I have not seen much info about buying extra seats online. Any idea how it works with Wizz, Ryanir, or Norwegian? Very interesting area of operation. Thanks for throwing light on it.